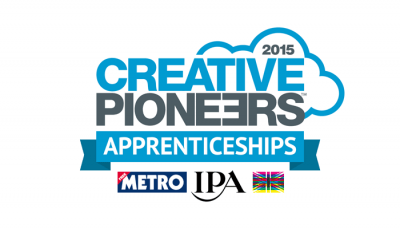 We are really pleased to announce that we are again taking part in the IPA Creative Pioneers scheme for 2015. The Creative Pioneers Challenge is a nationwide search that has been endorsed by UK Government to find the next generation of creative thinkers. The search was launched in 2012 to help develop the UK talent base for advertising, creative and digital medias. This year’s search offers successful applicants two different routes into the industry via paid for internships or apprenticeships. We are looking for an apprentice to join our talented and growing team. If you are keen to apply click here… Are you looking for a challenge in this sector? If so check out the Creative Pioneers website.